Our events attract the senior business and technology leaders making the difficult decisions on how to lead their companies through a period of enormous disruption. They come to compare notes with their colleagues and understand the technologies that can help them realize the extraordinary potential offered by cyber security, IOT/OT security, real-time security analytics tools and IT security management strategies. Our focus is helping you connect with the decision makers that need what you have. If you’d like to know more about how to get involved then contact us today. 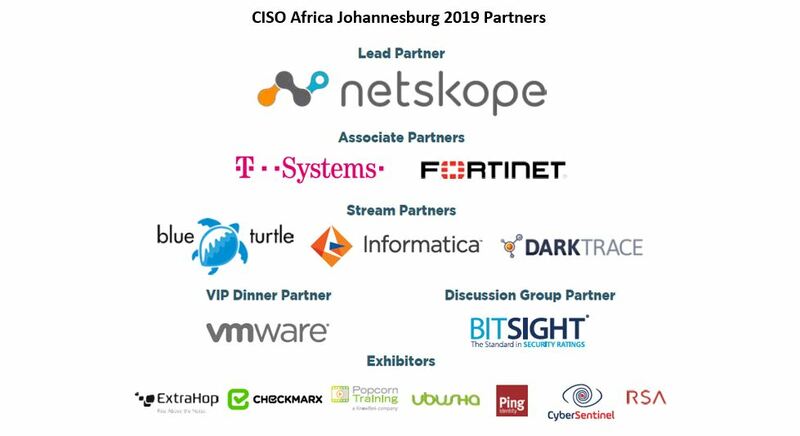 If you’d like to know more about how to get involved at CISO Africa 2019 then contact us today.